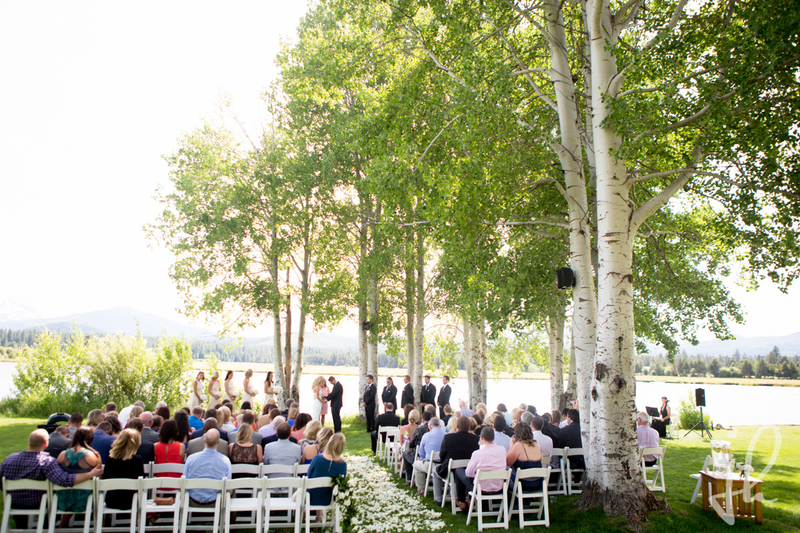 Set on the shores of a small lake nestled at the base of the Cascade Mountains, I think the best word to describe this wedding overall is “stunning.” This is one of our favorite places to play, and the mountains feel so up close there, the backdrop never gets old and Black Butte does a wonderful job maintaining these grounds impeccably. 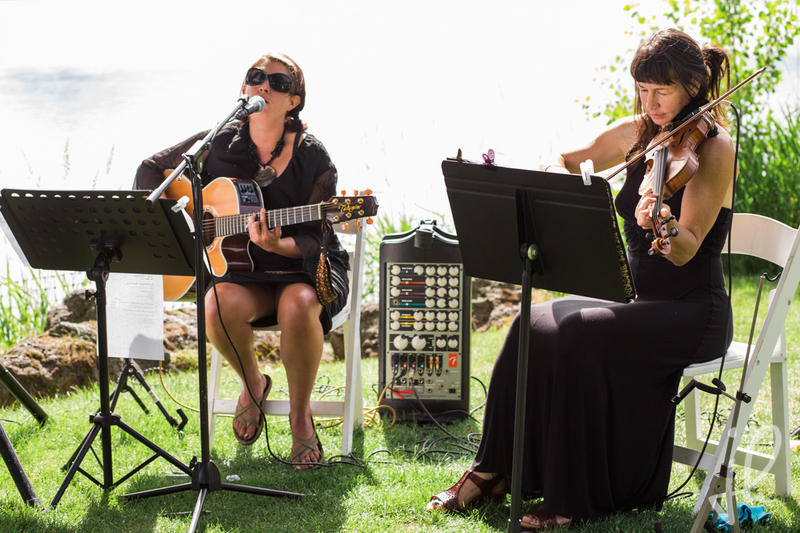 We’ve developed a great relationship with the Wedding Coordinator there, Jennifer Engele and she’s become a great advocate for us, and we really feel at home there! Beyond our joy at being back at Black Butte, we observed the overall crowd appeared well healed and good-looking in general; a classy bunch who were generous with their compliments when we finished. The bride definitely stole the day on this one, as she should, appearing like someone out of a magazine. 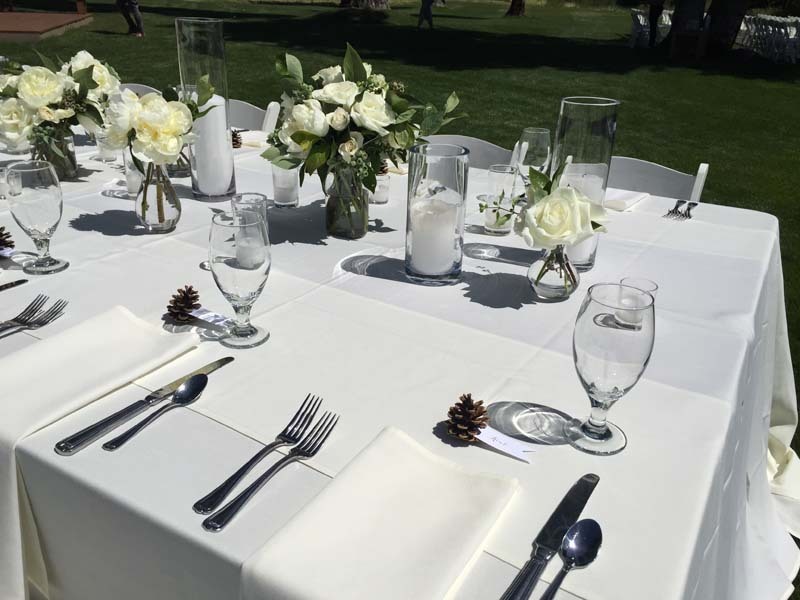 The tables were decorated with dozens and dozens of white roses, complimenting the bridesmaid’s dresses, which were a satin crème/champagne color. So much white felt both bold and elegant and a harmonious contrast to the setting of mostly greens and blues. 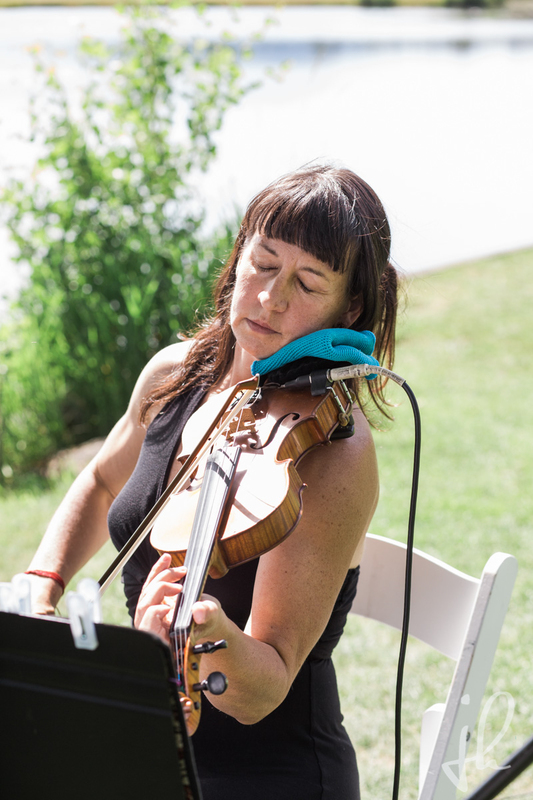 Julie set the stage with a beautiful mix of classical and contemporary songs on the violin before the ceremony began. She pulled off a great version of Canon in D, and as to be expected the bride was practically in tears by the time she reached the groom. The officiant seemed to be well acquainted with the couple and told some personal stories that gave a beautiful window into the lives of Brett and Laurie. We ended the ceremony with a special request: “Better Together” by Jack Johnson. I loved the contrast of everything being really classic and straightforward except for this casual and poppy tune by one of my favorite songwriters. 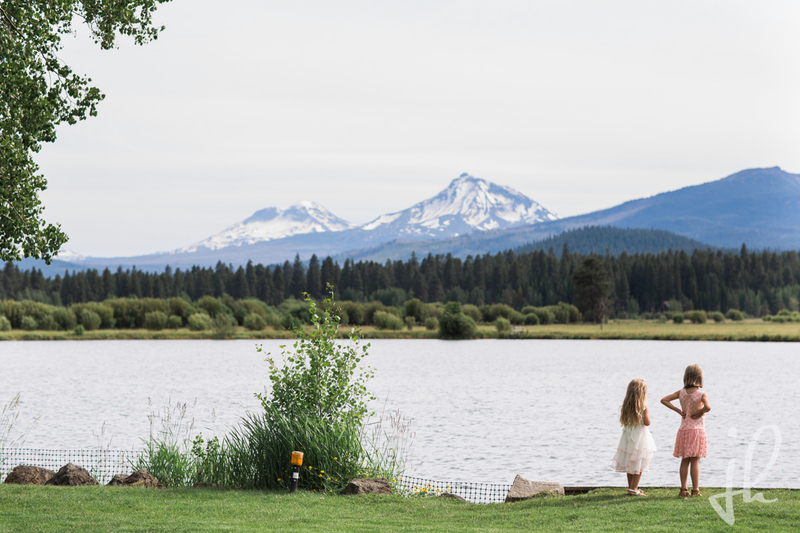 Overall, a very memorable day punctuated by the elegant taste of the bride and the warm and accommodating Black Butte Ranch staff.